Date of Birth: 1st Ramadan, 471 Hijri in Jilan, Iran. Hazrat Abdul Qadir Jilani was born into a pious Syed family of Jilan (in Iran). His father Abu Swaleh was an extremely virtuous person and was married to the equally saintly daughter of Syed Abdullah Saumai, a well-known divine of his time. The name of his mother was Fatima, a pious lady, who gave birth to him when she was 60 years old. After his birth, he was named Abdul Qadir Jilani. 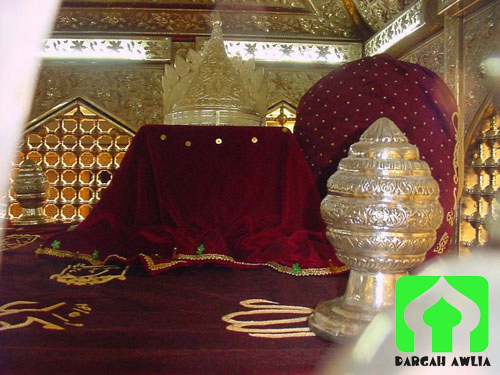 Hazrat Abdul Qadir Jilani was considered a great Divine blessing. A miracle is in the fact that when he was born, he did not drink the milk of his mother during the daytime due to it being the Holy Month of Ramadan (the month of Fasting). Hazrat Abdul Qadir Jilani lost his father at an early age. When he reached the age of 8 or 9, his mother decided to send him away to Baghdad so that he could be properly educated. Before he left, she told him, to never tell a lie and gave him 40 dinaars. Forsafety, she had sewn the coins on the inside of his gown. After bidding farewell to his mother, Hazrat Abdul Qadir Jilani joined a caravan destined for Baghdad. Hardly had they reached Hamdan, when suddenly they were attacked by a group of bandits. A few of the bandits at last approached a poor simple-looking boy sitting quietly at one side. “Yes”, he replied, “I have 40 dinars with me”. The boy replied that “I was instructed by my mother, who had stitched these dinars in my jacket, never to speak a lie”. The Chief was moved to the inner-most depth of his heart and tears rolled down his face. He exclaimed by saying “While I am disobedient to even my Creator, this boy is obedient to his mother.” The Chief ordered to return all the looted property to the members of the caravan and renounced his evil ways, thus becoming a devoted Muslim. Hazrat Abdul Qadir Jilani never told a lie during his life time. There even exist records to prove that a caravan bound for Baghdad from Jilan (Iran) was encountered by a band of robbers. Along with the caravan, Hazrat Abdul Qadir Jilani was travelling. Baghdad was then a great centre of Islamic learning and Hazrat Abdul Qadir Jilani became the favourite pupil of Allama Abu Zakariya Tabrezi, Principal of the Jamia Nizamiah. He studied there for 8 years and acquired mastery in all branches of learning. During this period young Hazrat Abdul Qadir Jilani had to pass a life of trials and tribulations, including that he passed some of his days under starvation, but he loathed begging of food from any one. Hazrat Abdul Qadir Jilani often left the city life and wandered the lonely deserts and jungles of Iraq. He endured hardships and self denial to discipline his self (ego) and purify his soul, heart and mind. He urged his entire self towards Allah as done by Rasulallah . He would recite the Qur’an Sharif and often perform prolonged prayers during the whole night. Often there would be no need for fresh ablution for the morning prayers due to the extent of his worship during the night. He wore a long woollen robe and lived on dates and water. Once Hazrat Abdul Qadir Jilani had nothing to eat for several days and he wandered near the ruins of the palace Kasra in search of Mubah (something which is permissible to eat). But when he reached there he saw 70 other pious men searching for food. Seeing them, he returned to Baghdad, tired and sad. On the way back he met a foreigner who had a message from his mother; she had sent him some money. It was a gift from Allah. 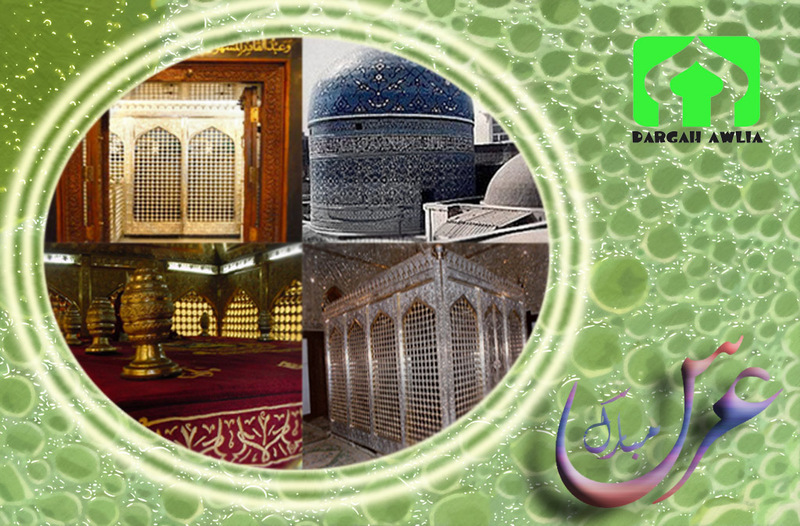 Hazrat Abdul Qadir Jilani went back and distributed the money amongst the 70 pious men and kept a little for himself. After many trials and tribulations, Hazrat Abdul Qadir Jilani developed tolerance, willpower, great determination and complete faith in Allah. He avoided situations and conditions that would disturb his prayers as he longed for closeness towards Allah. He uplifted those standards of quality and steadfastness according to which Allah measures His aspirant Loved Ones. Once Hazrat Abdul Qadir Jilani resolved neither to eat or drink or change dress until he was given all those by a pious person favoured by Allah. Thirty nine (39) days passed in this manner by meditation and prayer. On the 40th days someone left a plate of food by his side and went away. Although he was attracted towards the food due to hunger, he did not break his pledge. Also he was a Syed, and if the food was Zakat or charity then it was forbidden to him. Hence, he decided not to partake the food. After sometime his teacher, Abu Saeed Mukharruni arrived and enquired about his welfare and invited Hazrat Abdul Qadir Jilani to his house. He accepted his master’s invitation and informed that his nafs (self) was restless but his spirit was blessed by Allah and His secret was now revealed to him. Hazrat Abdul Qadir Jilani ‘s successful struggle made the master so happy that he served Hazrat Abdul Qadir Jilani ‘s food with his own hands. He also awarded Hazrat Abdul Qadir Jilani the khiqa (robe) and made him his Khalifa. The teacher also informed him that the robe was that of Rasulallah who had bestowed it to Hazrat Ali and thereafter it passed on through generations, from saint to saint, until it had reached him. On completion of his education, Hazrat Abdul Qadir Jilani set out to acquire spiritual training. He spent several long years undergoing the rigorous and spiritual life, and passing his time in meditation and in search of truth & Allah. Hazrat Abdul Qadir Jilani had come to Baghdad to serve humanity, but moral degeneration and Islamic values exploited by men in power disgusted him. He decided to leave Baghdad and help people in the rural areas. With the Holy Qur’an in his hands, he left the city but he had hardly reached Bab-e-Halbah on the outskirts of Baghdad when he heard a voice restraining him from leaving Baghdad. It was the will of Allah and so Hazrat Abdul Qadir Jilani returned to Baghdad. The next day while he was passing through a street, an elderly man opened a door and greeted Hazrat Abdul Qadir Jilani . He enquired about his earlier intentions on leaving the city and then closed the door. Hazrat Abdul Qadir Jilani was shocked as his intentions were not disclosed to anyone and wondered how this stranger could have known about it. After many days Hazrat Abdul Qadir Jilani saw the same elderly man passing through the street and he was invited to his house. Hazrat Abdul Qadir Jilani went to the house of Sheikh Hammad Al Dabbas who was a Syrain and a syrup vendor. 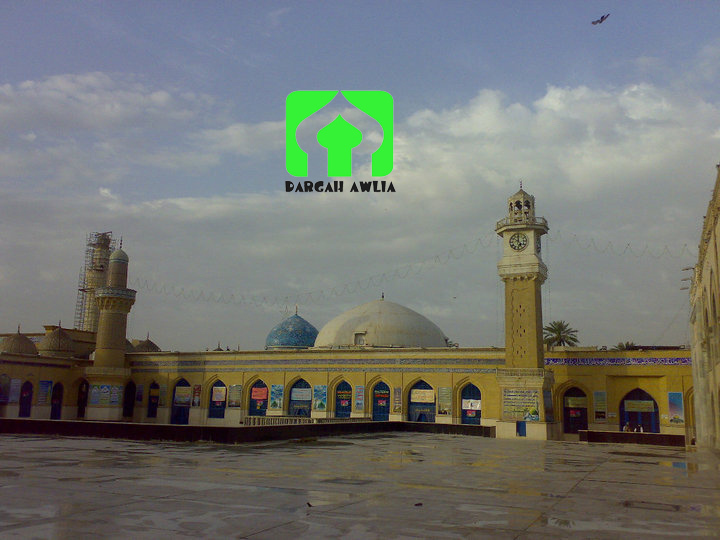 This dervish was a reputed saint of Baghdad and emphasized spiritual training, Tasawwuf and Tareeqat. He taught the student to act in consonance with the will of Allah while maintaining their individuality. 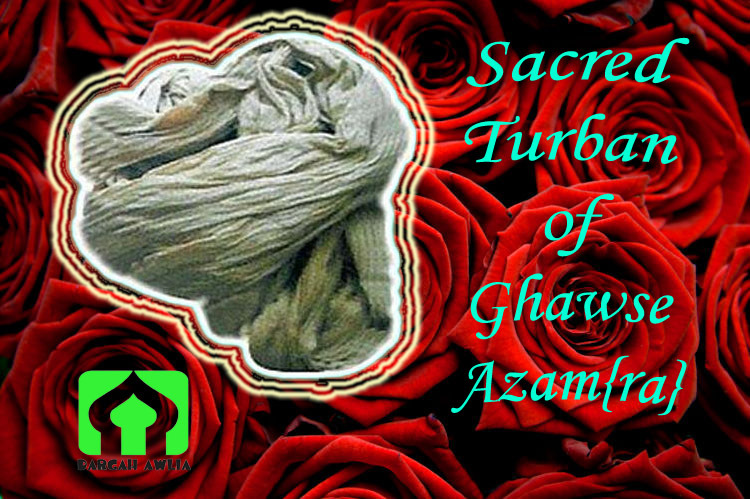 Hazrat Hammad al Dabbas adored Hazrat Abdul Qadir Jilani and gave special attention and trained him in Tasawwuf. At first, Sufi religious aspirants did not include Aalim (scholar) and Faqih (Jurist). Hazrat Abdul Qadir Jilani paved the way to change this; he was a Sufi, Aalim and Faqih. Hazrat Abdul Qadir Jilani was also gifted the title of Mohiuddin i.e. the reviver of faith. In the year 511 AH, Hazrat Abdul Qadir Jilani saw in a vision that he was walking along a street in Baghdad. There he met on the roadside an old and sick man who greeted him with Salaam and asked him to help him get up. Hazrat Abdul Qadir Jilani answered his salutation and helped him up. No sooner did Hazrat Abdul Qadir Jilani help him, the man’s health improved dramatically and his stature healed. Hazrat Abdul Qadir Jilani was wonderstruck and a little afraid, but the man allayed his fear and said, “I am Islam, the religion of your grandfather. I had become diseased and poorly but Allah has revived me through your help. Later at a public appearance in the mosque, a man came and addressed Hazrat Abdul Qadir Jilani as ‘Ya Syed Mohiuddin’ and since then people have addressed him with this name. Blessed by Allah’s Messenger , he became a great preacher, orator and reformer. Once in Shawwal 521 AH, Hazrat Abdul Qadir Jilani saw Allah’s Messenger in his dream advising him to make a speech and to impart his knowledge to others. Hazrat Abdul Qadir Jilani asked to be blessed with eloquence as he was an Ajmi (non-Arab). Allah’s Messenger recited the Aayat “Call unto the way of thy Lord with wisdom and beautiful preachings’ (16:25) seven times and blew on the face of Hazrat Abdul Qadir Jilani . The same day after Zuhr prayer, Hazrat Abdul Qadir Jilani mounted the pulpit and addressed the people with a sermon. The audience were entranced by his words. His assemblies were attended by men of all calibre. About 400 men remained engaged in recording his speeches (Akhbarul Akhyar). Many embraced Islam under the influence of his sermons. His fame for learning, piety, inner illumination, truth and strict adherence to Shariah spread all over. People flocked to hear his lectures and benefit from the sermons that covered all aspects of life. Muslim sinners would change their course of life after listening to his discourses. His spiritual personality awed even the greatest of men. When Hazrat Abdul Qadir Jilani spoke he was prompted by the Grace of Allah causing the miraculous and revolutionary impact of his words. The greatest of all divines and mystic saints of Islam, Hazrat Peeran-e-Peer Ghaus e Azam Shah Abdul Qadir Jilani breathed his last on the 11th Rabi-us-Sani, 561 A.H. at the age of 91 years. His death cast a gloom over the world of Islam but his life and teachings will forever illuminate the hearts of Muslims.